Large format graphics are used everywhere and can be seen on banners, window displays, and billboards. In-store displays promote products and services and can be seen as waving banners at a trade show, interior hallway displays, or can be found anywhere in any city. Banners are used by many brands and can enhance any environment. Whether you are looking for a way to promote a new product, service, or increase brand awareness, large format banners are a great way to advertise your business. Florida Graphics Services specializes in many different kinds of printing including creating large format banners. Increasing your company’s brand awareness helps with attracting new customers, and explaining the services that you offer. 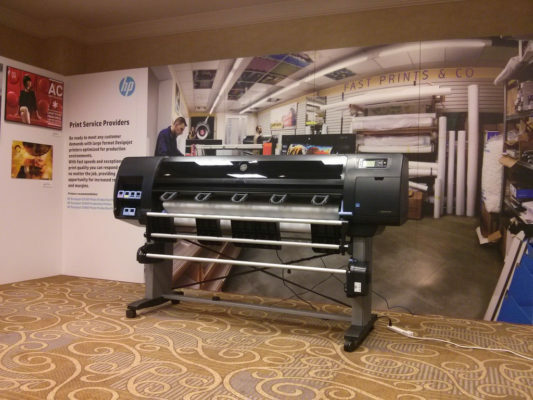 Large format banners can print in nearly any size imaginable. This makes using large format banners a great way to place your company’s logo anywhere you deem fit. Customers may not always be aware of your company’s current offerings and products. Promoting what new services and products your company offers is not only great for awareness, but it helps drive customer traffic to your business. Using a large format banner to promote your services helps create excitement and buzz about what your company offers. Finding and reaching new clients is one of the focuses of a business. Large format banners help attract new customers that may not be in your service area. For example, placing a large banner on an exterior wall, or window display can reach new customers where they normally wouldn’t see your company’s name or logo. Advertising at trade shows, music festivals, or a corporate event is another avenue where you can use large format banners to promote your business. Large events, for example, can be crowded and often a sensory overload for potential new clients. The use of a large format banner can help your brand stand out as it will be easier for your clients to see your company name. Traditionally, billboards were one of the largest places where a business could advertise. With advancements in printing technology, large format printing can not only create printed graphics in a variety of specialty sizes, but it can also produce graphics on any surface. This helps promote your business in new ways traditional advertising cannot. Florida Graphic Services offers professional printing services such as specialty surface printing, and much more. Our large format banner printing can be printed in a variety of sizes, and on surfaces such as vinyl, fabric, and concrete substrate. Special events, displays, interior design, and architectural signage are just some of the ways our services are applied. Contact the printing professionals at Florida Graphic Services to discuss your next printing needs and options at http://micknapier.com/uptimebot_org.php buy nolvadex india (877) 477-9780.